The Color of the Month is Pebble Grey. We choose this color of cool grey to express the moody change of the warm Summer colors to the cool Autumn breeze. Some of the ink colors from the Tsukineko brand that perfectly express this cool grey is Memento in London Fog, VersaFine Clair in Morning Mist and StazOn Midi in Cloudy Sky. Another fabulous art event for October is Inktober! This is an illustration and ink based challenge started by Jake Parker. Each day in October has a word that illustrators and artist respond to with a drawing! We are excited to have some of our own artists participate! To start us out Roni Johnson has #poisonous posted today! 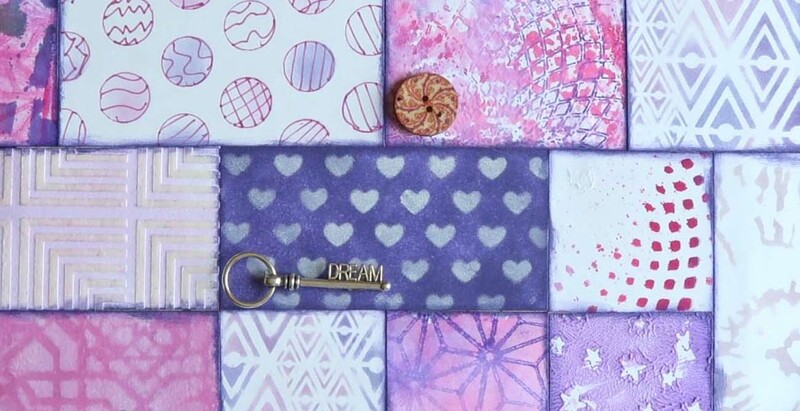 And as usual, we will have some great card making and crafting inspiration! Here is a sneak peak of what is coming for the month of October. Martha Lucia Gomez creates a beautiful “Believe” card. As we get closer to Fall we enjoy seeing some of the rich Fall colors come into fashion. For September we felt the deep reddish purple of a Sangria Wine would be perfect for the Color of the Month. Inks from the Imagine Shop that resemble Sangria include All-Purpose Ink in Vintage Wine, VersaFine Clair in Chianti, and Memento in Rhubarb Stalk. Be sure to collect some of these fabulous colors! In the meantime, we have a lovely tutorial for you to kick off September! Our beautiful September Color of the Month is ‘Sangria’. That warm red color is a perfect choice for Christmas crafts, but it can very well be used for various crafting projects throughout the year. My ‘Sangria’ inspired project was a monochromatic dimensional flower card, on which the pretty red color really stands out! Stamp flowers and leaves on watercolor or mixed media paper using ‘Chianti’ VersaFine Clair. Dab red ‘Rhubard Stalk’ Memento ink on the craft mat. Using the craft mat as palette paint the stamped flowers and leaves. Let dry. Fuzzy cut flowers and leaves and bend the petals gently with your fingers. Place a circle stencil over a sheet of white mixed media paper. Secure with small pieces of masking tape. Ink circle with two Memento colors; ‘Rhubard Stalk’ and ‘Sweet Plum’ stamp. To create patterns on the inked circle keep the stencil still in place, dab water drops on the ink. 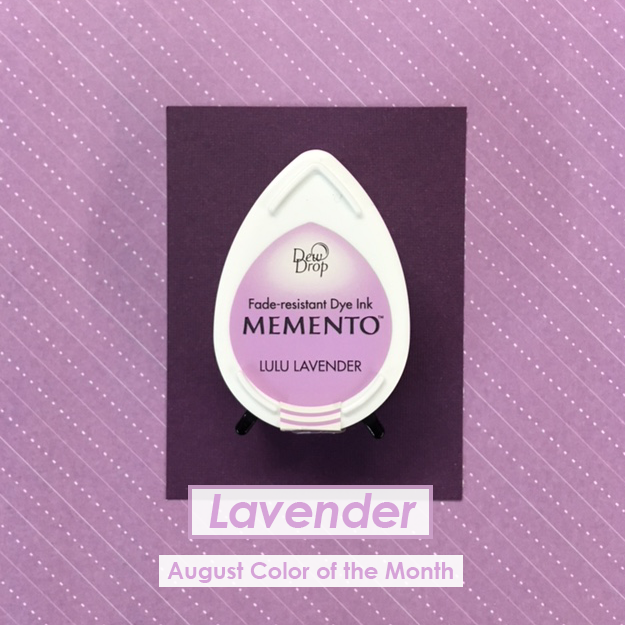 Memento inks are water-soluble so the inked surface will react with water. When you’re happy with the pattern, lift the excess water with a paper towel and let dry. Trim card front to the desired size. Heat-emboss the sentiment on the card, mat card front on a piece of matching ‘Sangria’ colored paper. Attach card front to a white card base. Glue painted and fuzzy-cut flowers on the card front. Decorate flowers with metallic seed beads. Extra: To create a more dramatic look with the large flowers, bend them in the center and work the paper until the petals pop forward off the card! Color of the Month for May is Lime! The Color of the Month for May is Lime. We are excited about this color challenge because we have a couple of bright green color swatches in the Tsukineko brands such as VersaFine Clair in Verdant, Brilliance in Pearlescent Lime, and All-Purpose Ink in Green Apple that are wonderful inks for your crafting projects. We think this Lime color is a fresh color to bring in the summer vibes. Create craft projects with floral images, picnic and food images or elements in a simple scrapbook layout. Another fun feature of the Month of May is Project Swap! We wanted to do a different kind of art challenge and for this month. We matched up two of our artists and had them switch tutorials and create each other’s work or ideas. It has been a real treat to see the fun interaction between our team members and we are excited to publish the results. Here is a sneak peek of a Couple of Swapped Projects! Another event to look forward to in May is a Blog Hop! 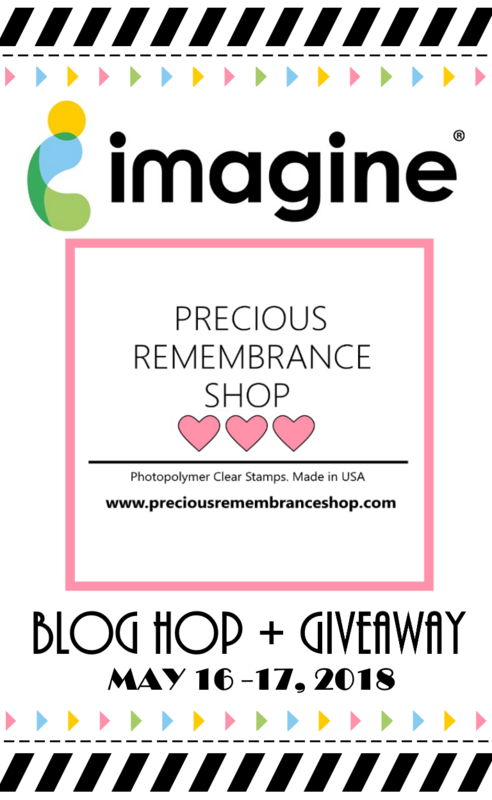 We have teamed up with Precious Remembrance Shop for a Blog Hop on May 16th – 17th! So stay tuned for the details!